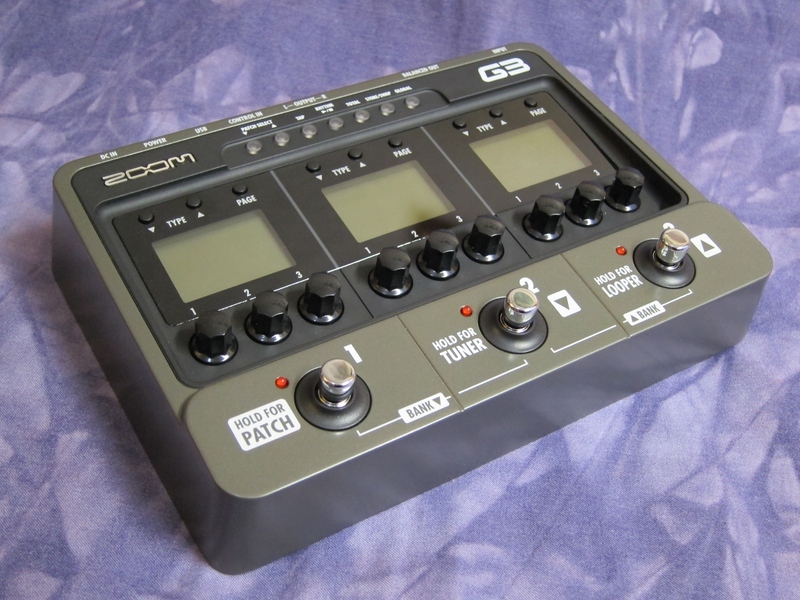 The Zoom G3 (current price in Finland: 213 €) represents a change in the basic functionality of compact Zoom-pedals. Up until now the pedals were built with an architecture based on pre-configured effect-chains as the basis of all effect-patches. There wasn’t anything wrong with doing it this way, it only made the user experience a little clumsy and non-intuitive. The new G3 changes all that by giving the user a floor effect that feels like three independent pedals side-by-side. But while three conventional stand-alone pedals tend to offer only one single effect per pedal, each of the G3’s three sections is a full-blown multieffect filled to the brim with tasty amp simulations and guitar effects. Posted on February 25, 2013, in effects and tagged effect, G3, Zoom. Bookmark the permalink. Leave a comment.